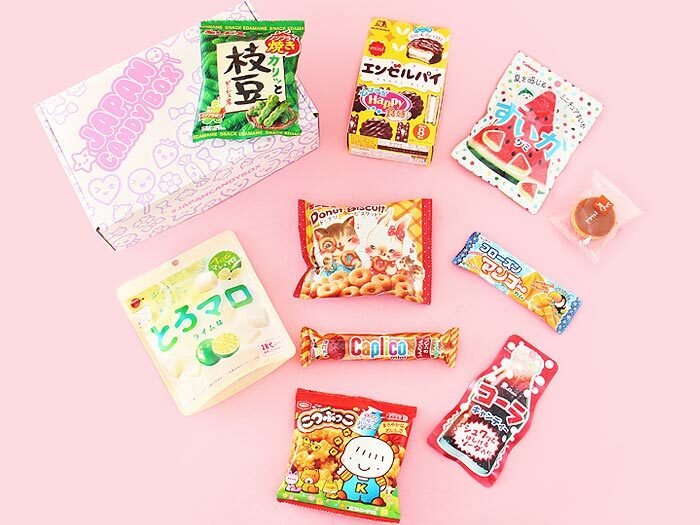 October’s candy subscription box featured these best Japanese snacks. 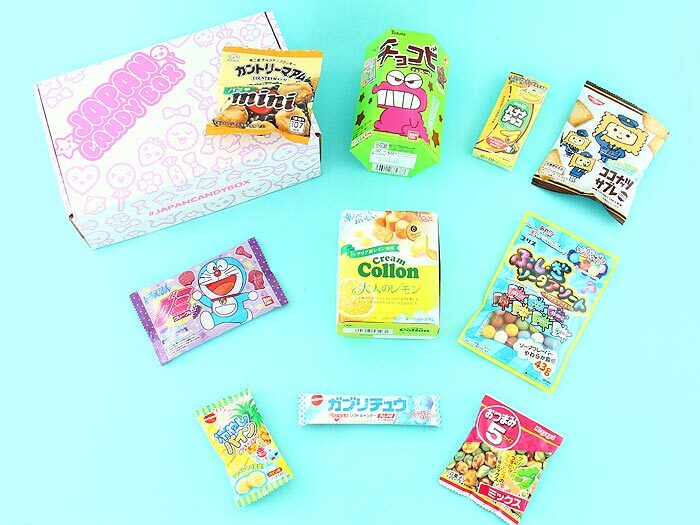 Tree stump chocolates and Anpan custard bread biscuits as well as Pompompurin gummies and Caramel Chocoballs… Yum! 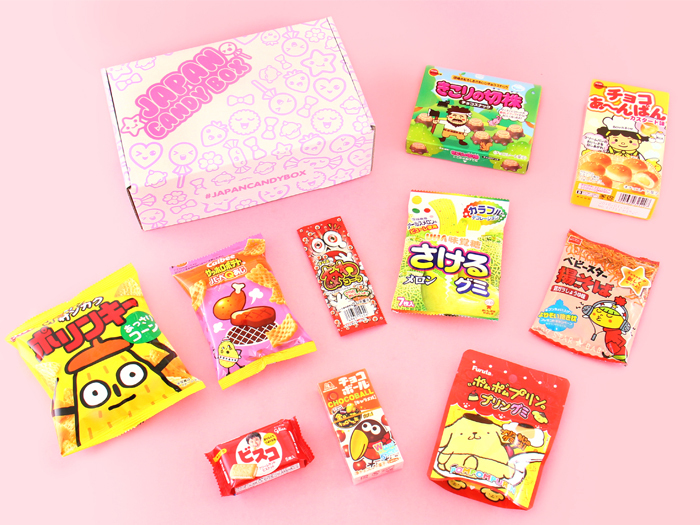 Take a look what type of Japanese sweets we included in the Japanese snack crate in August! Hello sweeties! 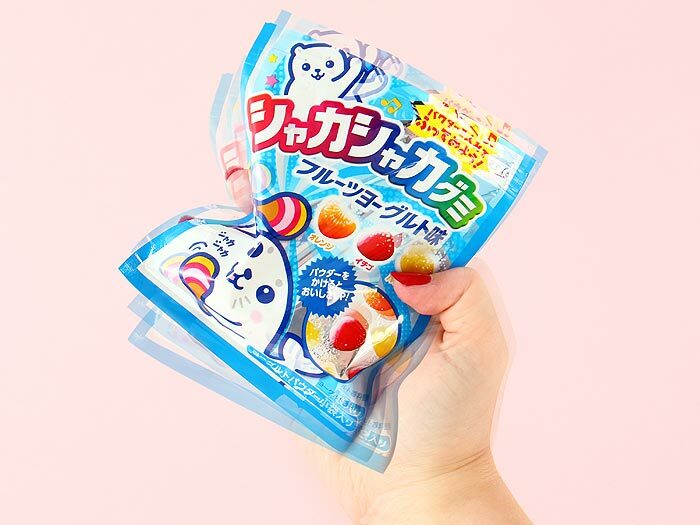 These Kabaya Shaka Shaka Gummy Candies were included in the August snack crate. This tutorial will show you how to turn the gummies into delicious hard candy gemstones! Hello sweeties! 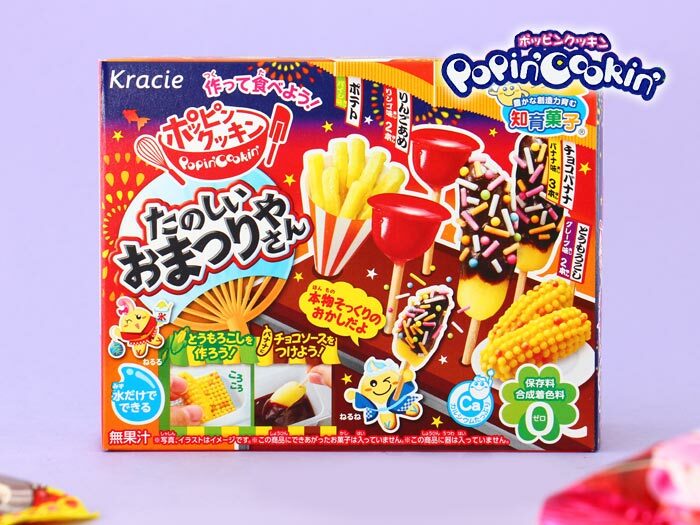 This Popin’ Cookin’ Tanoshii Omatsuriyasan DIY Candy Kit from Kracie was included in the August 2017 Japan box. 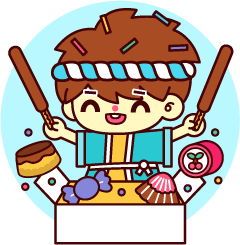 Follow this tutorial to create your own Japanese Matsuri festival treats from candy! 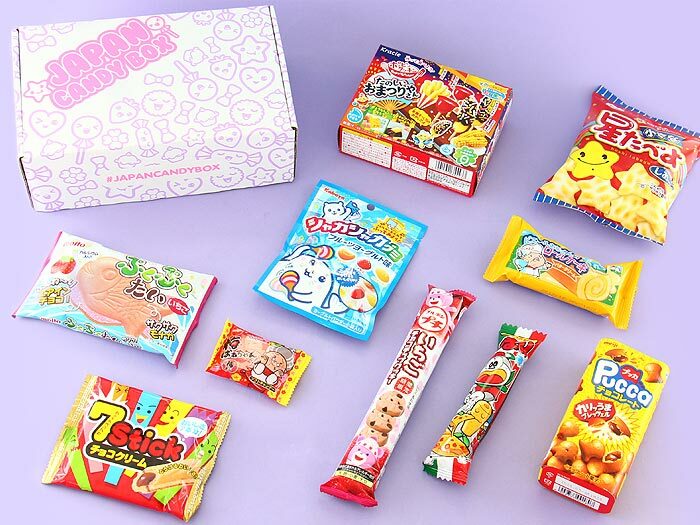 These mouthwatering Japanese treats were featured in the July Japan box! Hello sweeties! 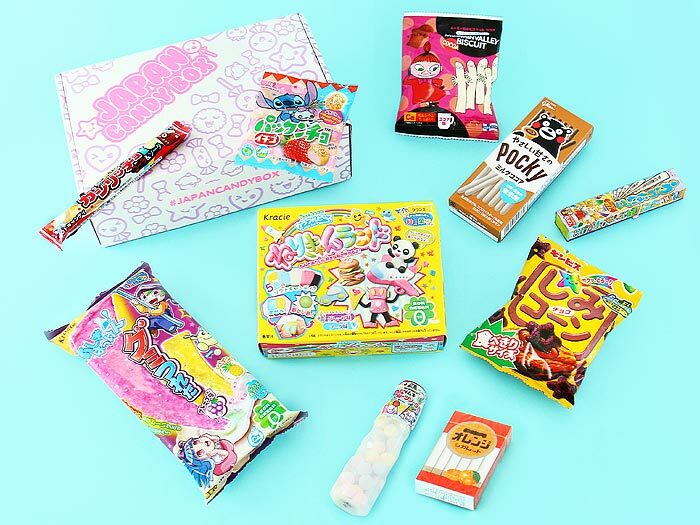 This Popin’ Cookin’ Tsureta DIY Gummy Kit was included in the June 2017 candy subscription box. Follow this tutorial to create your unique, long, fruity and sticky, gummy candy! Hello sweeties! 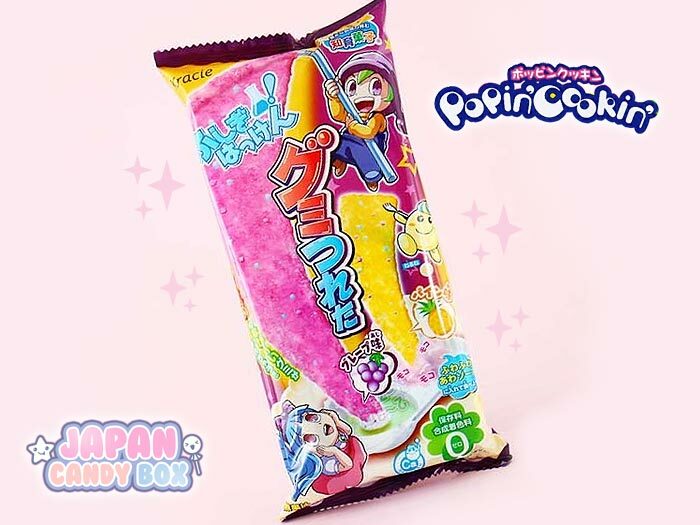 The Popin’ Cookin’ Neri Candy Land DIY Candy Kit was included in the June Japanese snack box. It is a do-it-yourself kit for shaping different figures and animals from delicious soft candy material. The package includes shaping ideas and color examples. Mix colors together to create more exciting colored candy materials and use the rolling pin to make holes or for rolling the candy material flat. You can add a finishing touch with the cute and colorful sprinkles! In this video, PrincessCece will show you how to make some sweet characters with the Neri Candy Land DIY Candy Kit! Enjoy! 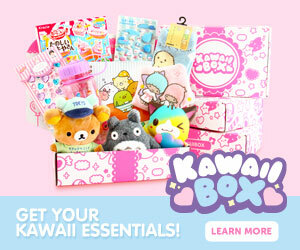 Take a peek what was included in April’s Japanese subscription box. 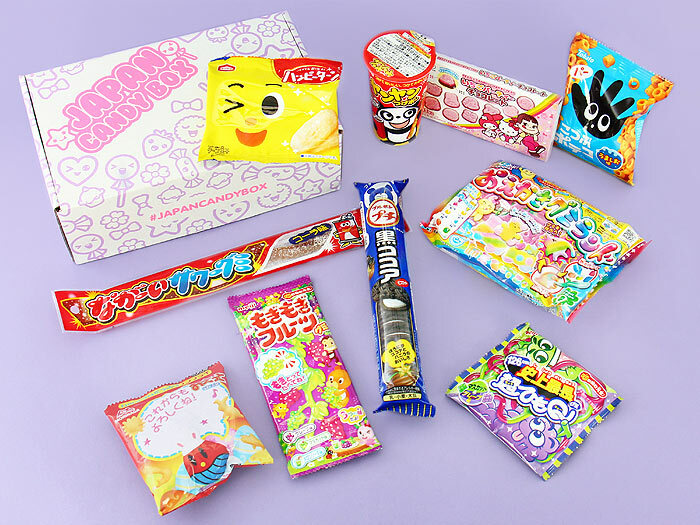 So many Japanese treats!